>> How are you going to “show up” in 2019? Today, I saw a simple instagram post from my Junior League of Las Vegas chapter asking this question. And it’s something that I think about on a large scale all the time, but don’t REALLY think about on a smaller scale nearly often enough. Whether we realize it or not, we all have a personal brand! We are known for being smart, sophisticated, funny, kind, helpful, self centered – any number of things. Often our personal brand is built very unknowingly. We show up and just “are” but we end up being KNOWN for how we are. So, this is a really good time to take a step back. What do you VALUE that you want to give more to this year? Time? Money? How do you want people to see you this year? Generous with your time and/or money? Someone of your word who does what you say you are going to do? A loyal friend that people can count on? A wise, helpful business associate lifting others up in their quest for excellence? An example, my husband, Mike often feels like I am too tough. I have high standards. I expect a lot from those around me (and really really try to GIVE a lot to those around me). Often in a conversation, Mike will try to “pacify” me and will say yes to something he has no intention of doing. This ends up being a really bad situation on both sides. First, I’m making Mike feel like he has to say yes, even if he doesn’t want to. Second, he’s showing me that his word doesn’t mean anything, because he doesn’t intend to follow through. This exchange and break down in our integrity happens almost instantaneously. Neither of us think about how we or the other person feels in that moment. But as soon as Mike doesn’t do what he said he was going to do, believe me, it becomes crystal clear to both of us how we got there! Your personal brand is YOU! 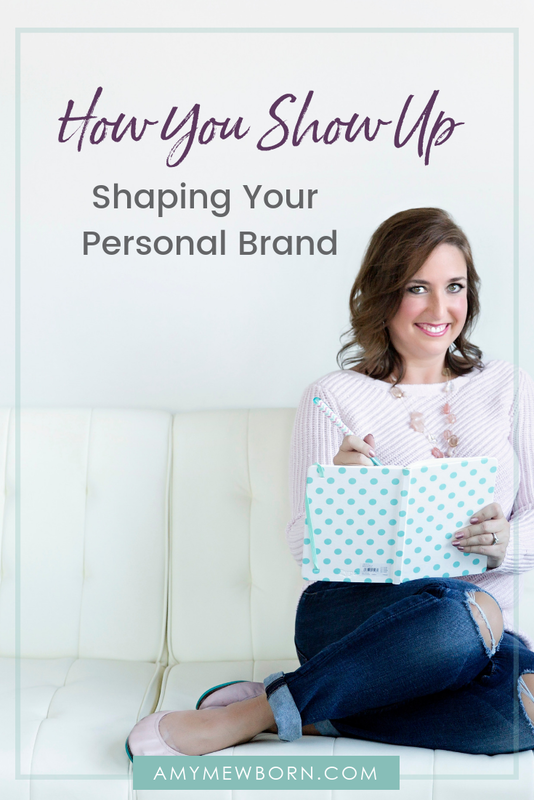 You are your personal brand! You can either control it, and build it consciously, or you can allow it to be created by accident – whether it’s really who you want to be or not. So take a moment. Write down how you want people to see you – this year and beyond. And make sure that your ACTIONS line up with that desire. Tell me in the comments – how do YOU want to be seen this year?